Nina Kraus will be at the Kennedy Center on June 2 for Sound Health in Concert where she will join other scientists and artists on stage, and also on June 3 for a session on music and childhood development, where she will be joined by the D.C. Youth Orchestra. 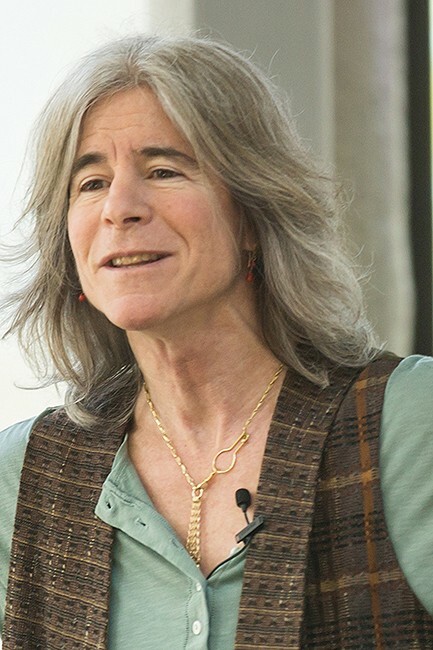 To learn more about Kraus and her work at Northwestern, go to Brainvolts for info on a broad range of topics involving sound, music and the brain. Sound is something most take for granted. However, making sense of sound is one of the most complex tasks our brains do and one of the main ways we learn about the world around us. Nina Kraus is Hugh Knowles Chair at Northwestern where she and her team at the Auditory Neuroscience Lab look at how the brain processes speech and music. The same mechanisms by which we process speech or sound, she said, are used and strengthened when we make music. Much of her research is focused on how musical involvement can build our capacity to turn sound into meaning. Kraus said turning sound into meaning requires us to actively engage our attention, memory and the brain’s sensory motor, cognitive and reward systems. Kraus compared the way we learn to listen to driving a stick shift, where we first have to focus all of our attention to the stick and clutch, but eventually that same process can become a default, automatic skill. Learning to play an instrument, practices that kind of listening and underlying neural process. Processing sound is a tremendously important ability for development in children, both because there is passive learning by making sense of the world around them and active learning where a student is trying to make sense of a schoolroom lesson from a teacher. In her research with preschool children, Kraus said they found that the students who were better able to follow musical rhythm and sound also exhibited the strongest language skills. Your past, she said, shapes your present. Using call electrodes that allow a very fine-tuned and granular way of measuring activity, Kraus and her team have figured out how to scan the brain’s default network to look at how good a job the brain is doing processing sound. That default network is strengthened and developed through musical experience and training. These brain changes and development are more profound in those who make music (at any kind of level as long as it is regular engagement) than those who just listen. “You’re not going to get physically fit from watching sports,” Kraus said. One area Kraus and her team have devoted much of their research to is how music involvement can help strengthen that neural sound processing when there are language impairments or injury. Often poverty can be a factor in children with lower sound processing skills. That stems from living in noisier urban environments and also linguistic deprivation, which refers to hearing fewer words, sentences and concepts during their childhood than those who grow up in more affluent homes. Kraus and her team did two studies in under-served areas in Chicago and Los Angeles, and she said both of the projects showed that making music could partially offset some of the negative impacts of linguistic deprivation. Another area of Kraus’s research is in the area of concussions. She worked on a team that found a biological marker in the way brains process sound that could be used as a reliable way to diagnose concussions. Given the fine and delicate neural machinery that processes sound, people with concussions or other brain trauma often have difficulty being able to know what to listen to and what to ignore in noisy settings. Kraus said there have been reports that music programs might help in recovery. “We really do know that making music can change our brain for better throughout our lives,” she said. Learn more about Nina Kraus and the Auditory Neuroscience Lab at Brainvolts, a site devoted to sharing their research with lessons on a variety of related topics.